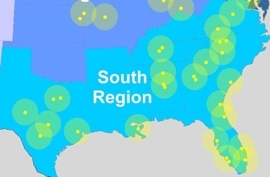 South Region Angel Groups Comprising Angelpool. Active Angel Investors, Vienna VA.
Aggie Angel Network, College Station TX. Angel Capital Group, Hendersonville TN. Angel Investment Forum, Stuart FL. Angels of SW Louisiana, Lake Charles LA. Ariel Savannah Angel Partners, Savannah GA.
Baylor Angel Network, Waco TX. Birmingham Angel Network, Birmingham AL. Central Florida Technology Ventures, Orlando FL. Central Gulf Coast Investor Network, Point Clear AL. Charleston Angel Partners, Charleston SC. Charlotte Angel Fund, Charlotte NC. Concho Valley Angel Network, San Angelo TX. Council for Entrepreneurial Development, Durham NC. Global Angel Investor Network, Savannah GA.
Go Beyond Network, Naples FL. Gulf Coast Angel Network, Mobile AL. Gulf Coast Venture Forum, Naples FL. Hampton Roads Angel Network, Hampton VA.
Houston Angel Network, Houston TX. Inception Micro Angel Fund, Winston-Salem NC. Innovation Valley Angels, Oak Ridge TN. InvestIn Forum of Angel Investors, Dallas TX. Maximize Angel Investments, Ormond Beach FL. Mississippi Angel Network, Ridgeland MS.
Nashville Capital Network, Nashville TN. New Dominion Angels, Warrenton VA.
New World Angels, Boca Raton FL. North Dallas Investment Group, Dallas TX. Piedmont Angel Network, Greensboro NC. Regional Innovation Orgn, Baton Rouge LA. RTP Capital Associates, RTP NC. Shoals Angel Network, Florence AL. South Coast Angel Fund, New Orleans LA. South East Investment Network, Florida FL. South Texas Angel Network, San Antonio TX. Southeast Investment Group, Atlanta GA.
Texoma Angels, Wichita Falls TX. Tri-Cities Regional Angels, Johnson City TN. Upstate Carolina Angel Network, Greenville SC. West Virginia Angel Network, Fairmont WV. Winter Park Angels, Winter Park FL. 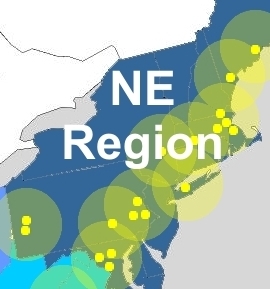 Northeast Region Angel Groups Comprising Angelpool. Angel Investor Forum, East Hartford CT.
Angel Investors of Greater Wash., DC. Bay Angels, Cape Cod MA. Ben Franklin Central/North., Univ.Park PA.
BlueTree Allied Angels, Pittsburgh PA.
Boston Harbor Angels, Boston MA. Breakfast Club of NH, Nashua NH. Buffalo Angel Network, Buffalo NY. Capital Access Network, College Park MD. Connecticut Angel Guild, Fairfield CT.
Delaware Crossing Investor Group, Doylestown PA.
Dutchess County Angel Network, Poughkeepsie NY. Eastern New York Angels, Albany NY. ECS Angels, Bar Harbor ME. FSI Angel Network, Wilmington DE. Jumpstart New Jersey Angel Network, Mt Laurel NJ. Keiretsu Forum Boston/New England, Boston MA. Lancaster Angel Group, Lancaster PA.
Launchpad Venture Group, Wellesley MA. Long Island Angel Network, Melville NY. MA Technology Development, Boston MA. Mass Medical Angels, Boston MA. Mid-Atlantic Angel Group, Philadelphia PA. Minority Angel Investor Network, Philadelphia PA.
Pittsburgh Equity Partners, Pittsburgh PA. Private Investors Forum, Jenkintown PA.
Race Point Capital Group, Newton MA. River Valley Investors, Springfield MA. Robin Hood Ventures, Wayne PA.
Rochester Angel Network, Rochester NY. Tech Valley Angel Network, Albany NY. Tevel Angels Club, New York NY. Tri-State Private Investors Network, New York NY. Tristate Ventures, New York NY. Ultra Light Startups, Boston MA. Walnut Venture Associates, Wellesley Hills MA. 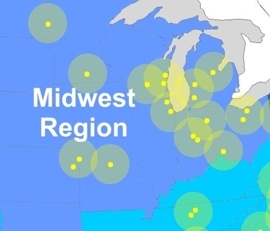 Midwest Region Angel Groups Comprising Angelpool. Billiken Angels, St. Louis MO. Blue Water Angels, Midland MI. Central Illinois Angels, Peoria IL. East Central Ohio Tech Angels, Worthington OH. FM Angel Investment Fund, Fargo ND. Grand Angels, Grand Rapids MI. Hyde Park Angel Network, Chicago IL. Louisville Enterprise Angels, Louisville KY.
Main Street Venture Fund, Fort Wayne IN. Marquette University Golden Angels, Milwaukee WI. Michigan Angel Program, Detroit MI. Midwest Venture Alliance, Wichita KS. Millstream Angel Club, Findlay OH. North Coast Angel Fund, Cleveland OH. P3 Alliance Purdue Angel Network, Indianapolis IN. Queen City Angels, Cincinnati OH. RAIN Source Capital, St. Paul MN. River Valley Capital, Montevideo MN. Seedstep Angels, Oklahoma City OK.
Show Me Angels, Kansas City MO. South Metro Investors, Burnsville MN. Twin Cities Angels, Minneapolis MN. Two Rivers Angel Investment Network, Mankato MN. Urbana-Champaign Angel Network, Champaign IL. 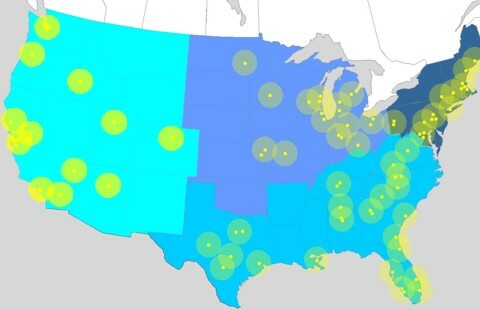 West Region Angel Groups Comprising Angelpool. Bellingham Angel Group, Bellingham WA. Boise Angel Alliance, Boise ID. CalCEF Clean Energy Fund, San Fran CA. Coachella Valley Angels, Palm Desert CA. Family Media Angels, Pebble Beach CA. Frontier Angel Fund, Kalispell MT. Harvard Angels, San Fran CA. HealthTech Capital, Los Altos Hills CA. Icon Angels, Los Angeles CA. Investors Circle, San Francisco CA. Keiretsu Forum, Costa Mesa CA. Keiretsu Forum Northwest, Seattle CA. Keiretsu Forum Portland, Portland OR. Keiretsu Forum Southern CA, San Diego CA. Maverick Angels, Thousand Oaks CA. MIT Angels, San Francisco CA. North Bay Angels, Healdsburg CA. Northern Arizona Angels, Flagstaff AZ. Oregon Entrepreneur Network, Portland OR. Plug and Play Angels, Sunnyvale CA. Portland Angel Network, Portland OR. Portland Venture Group, Portland OR. Puget Sound Venture Club, Bellevue WA. Salt Lake Life Science Angels, Salt Lake City UT. San Joaquin Angels, Stockton CA. Sand Hill Angels, Menlo Park CA. Seraph Capital Forum, Seattle WA. Southern Willamette Angel Network, Eugene OR. Tacoma Angel Network, Tacoma WA. The VC Roundtable, Silicon Valley CA. Top of Utah Angels, Salt Lake City UT. Tribe of Angels, Palo Alto CA. US Angel Investors, Palo Alto CA. Utah Angels, Salt Lake City UT. Vegas Valley Angels, Las Vegas NV.